The BSB fantasy football league – All in the Family – is not your average fantasy football league (mostly because it’s, well, actually interesting) and has now finished the regular season and enters the playoffs this week. Let’s give a really quick synapsis of the season and a look ahead to the playoffs this week. Mirroring his real team’s season, QB Alex Smith is just simply getting the job done. Without any real flash, the better of the only 2 QBs in the league, Alex led the Black Smiths to an incredibly improbably regular season championship. At 10-3, they were a full 3 games better than any other team, despite being outscored by 3 of the other 5 teams, including two teams outscoring them by well more than 125+ points on the season. But, to quote the late, great Al Davis, “Just Win, Baby.” And, that’s what they did, and have earned a first-round bye. Other than having a legit QB, the Smiths were bolstered by a receiving corps that came out of nowhere to become one of the best in the league. The Cam Newton explosion brought WR Steve Smith back into elitism, while the Ravens Torrey Smith came out of nowhere to be one of the best WRs in the league. They got very little from their RBs, but it looked like they might get a huge boost from Kevin Smith, who came out of retirement to be the feature back in Detroit, before getting hurt. If he is healthy for the playoffs, this could be a tough team to beat. Their defense was also VERY solid. Erasing a two-game deficit in the final two weeks and coming from WAY behind to win the tiebreaker, Charlie Brown caught the reeling Jack-O’s for second place and the all-important first-round bye. But, they did earn it, as the revamped Charlie Brown squad scored the most points in the league this year, led mostly by a couple of surprisingly great seasons from their RBs, Shonn Greene and BenJarvus Green-Ellis. They also have a terrific WR corps with the emergence of rookie WR A.J. Green to join established star, Roddy White. And, now Antonio Brown is blowing up in Pittsburgh, giving Charlie Brown the league’s best trio of receivers. The ole stalwart of the team is that they have a kicker, Josh Brown, but the defense is questionable. This is a very good team and may be the favorite to win it all this year. For about 10 weeks, it looked like the Jack-O’s would be the biggest threat (and maybe the actual favorite) to compete with the Black Smiths to win the title, but about Week 11, the wheels completely fell off and now this team enters the playoffs after blowing a seemingly insurmountable lead for the 2-seed and simply taking on water. Their bell cow, Fred Jackson, went down with a season-ending injury around the same time that co-captain DeSean Jackson decided he didn’t like catching passes any more. The other co-captain (and heart and soul of the team), Steven Jackson, is on a miserable team, and Vincent Jackson‘s quarterback is throwing the ball to the wrong team. The lone bright spots on this team were QB Tavaris Jackson (who was just good enough to stay a starter – which is huge in this league), and LB D’Qwell Jackson, who has emerged as one of the best defensive players in the league. But, the rest of the defense is terrible and without Freddy and DeSean, this team is pretty poor. Their opponent in the first round is the disappointing Big Willie Style. After a phenomenal season last year, Big Willie was the doormat of the league this year, winning just 2 games all year. The breakout stars of last year just didn’t come through this year, as Cadillac Williams and Seattle’s Mike Williams took backup roles this year. DeAngelo Williams struggled, and Tampa’s Mike Williams wasn’t as good this year either. They have been bolstered recently by Tennessee’s WR Damian Williams, but they still are underdogs even against the reeling Jack-O’s in the first round. But, their defense is decent, so they might be able to pull off the upset this week. This first-round matchup is a rematch of last year’s Super Bowl, which Football Jones pulled off the monumental upset. This year, though, it wouldn’t be as big of an upset because of the struggles of the Dix this year. But, they are hitting their stride at just the right time and still have a shot to take the title. The emergence of Chris Johnson is huge for the Dix, while Calvin Johnson continues to dominate. While they are still missing Andre Johnson, there is a chance that they get a starting QB, as Josh Freeman is questionable for Tampa. Josh Johnson is his backup. A 6-loss season was SHOCKING for the league’s juggernaut, but they can make everyone forget about that if they can put together three good weeks to take the title. Football Jones & the Last-Name Crusade has found it tough sledding to defend their championship, but they are still in it and ready to roll into the playoffs. The downslide of Football Jones may be a result of the diminished roles of very important RBs Felix Jones and Thomas Jones, as opposed to last year. But, they added a very important piece in rookie WR Julio Jones. Adding Julio to James Jones and Jacoby Jones (and Donald Jones before a season-ending injury) gives FJ a much better WR corps this year than last. Plus, they still have their franchise player, Maurice Jones-Drew, who is still a stud. While the defense is still pretty poor, the rest of the league better take them out this year because there is chance that this team could start an absolute dynasty because one of the best QBs entering the draft this year is Oklahoma’s Landry Jones. Black Smiths – Hey, they did win THREE more games than anyone else in the league, right? Week Three of the inaugural season of All in the Family was a real “show me what you’ve got week,” as each team was in position to really make a statement about their chances of challenging The Dix this year. And, some statements were made loud and clear. In the huge showdown of 2-0 teams, The Dix were foiled. Big Willie Style has made it known, to anyone listening, that this league is not going to just be a coronation of a couple of Johnsons. We’ve got a season, folks. Big Willie got an incredibly timely performance from the most underappreciated (and underperforming) Williams of the first two weeks–Roy Williams–and it was enough to overcome another big day for Mr. Chris Johnson. Like we said in the opening, this win for Big Willie Style (the biggest win in the short history of All in the Family) was fueled completely by their forgotten wide receiver. Roy (DAL), who only started in 5% of Yahoo! fantasy leagues, went for 117 yards and 2 TDs. This made up for the inept performance of the two Mikes (TB & SEA), who only combined for 5 points, and the running backs, DeAngelo (CAR) and Ricky (MIA), who only combined for 9 points. The benching of Cadillac (TB) wasn’t a good move, but it didn’t hurt either, as the Caddy only had 5 points against the Steelers defense. And, the best defense in the league made the difference again, as Tramon (GB) had 7 tackles and a sack on Monday night to lead his team to victory. Mario (HOU) didn’t play on Sunday, which hurt because his backup Kyle (BUF) had 6 points on the bench. Fortunately, this team is good enough for that not to matter. 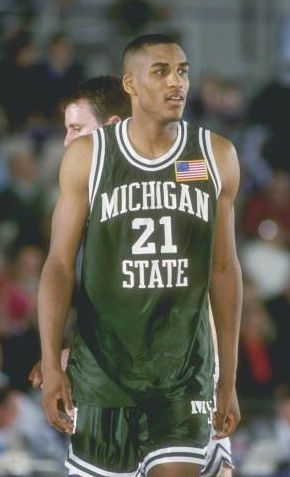 On the other side, The Dix had a decent game (46 points was the 3rd best total of the week), but in the end, their best player, Chris (TEN), was surprisingly neutralized by Roy Williams’s big day, and the defense for The Dix just isn’t as good as their counterparts for Big Willie Style. Chris had 27 points on 125 yards and 2 TDs, and they even got some garbage points from QB Josh (TB), who came into a blowout against Pittsburgh. Team captain, Andre (HOU), added 7 points and Calvin chipped in with 6, but The Dix just can’t match the depth of Big Willie Style, as they got goose-eggs from the #3 WR, #2 RB, DB, and DL. They only had 4 points total from the defense, which sealed their fate. We’re not going to get carried away, but Big Willie Style may have established themselves as the team to beat in this league. If they can continue to get production from so many different positions, this team may actually pull off an incredible run in this inaugural season. Task #1 is complete, as they are the first team to beat The Dix at their own game. Roy Williams is clearly the MVP of this week, as he came out of nowhere to make a huge splash in the league. The second game of the week was a big game for both teams. Jones & the Last Name Crusade is a really tough 0-2, as they have played two tough games against good teams that they could have won, but missed out on. While, the Jack-O’s, who got pummelled by The Dix on opening day, but then beat Charlie Brown in Week Two, were trying to establish themselves as a competitor this year. And, they did just that. Led by DeSean and Stephen Jackson, the Jack-O’s improved to 2-1 and will have a shot at first place in Week Four, as they take on 3-0 Big Willie Style. Jones & the Last Name Crusade added a third tough loss to their season, as they just didn’t have the horses in this one. DeSean (PHI) had a huge 24 points for the Jack-O’s, which coupled with a workman-like 12 more from team captain, Stephen (STL), was just about enough to hold off a game Crusade team. Brandon (GB) did get the tough start over Fred (BUF) here and it paid off, as Brandon had 4 points, while Fred only would have given 1. Again, the receiving corps is decimated by Vincent’s no-show, as goose-eggs were had by WR2 and WR3 this week. Speaking of decimated by off-the-field issues, the defense continues to get blasted. Tanard (TB) was suspended for the season for use of PEDs and now D’Qwell (CLE), the team’s only linebacker, has been placed on IR and is out for the season. Lawrence (DET)–who replaced Tanard in the starting lineup–picked up a sack for the Jack-O’s defense. As for the Jones squad, they were carried, as usual, by their stable of running backs. Thomas (KC) led the way with 16 and team captain Maurice (JAX) chipped in with 9. Felix (DAL) had 4 on the bench, so Doogan made a nice coaching decision there. Jacoby (HOU) and James (GB) are a decent couple of WRs, but they only combined for 7 points on this day. And, the defense didn’t come through as much as it has earlier in the season. Pacman (CIN) after a big day last week on the bench, got the start and gave nothing. Dhani (CIN) had a forced fumble as the only real highlight of a poor showing by the Jones defense. This was a nice win for the Jack-O’s, as they improve to 2-1–in a three-way tie for second place. They do have a tough couple of games coming up, so they needed to get some momentum heading into this rough stretch of games. DeSean Jackson continues to shine, as he gets another game ball this week for the Jack-O’s. Even though the league’s only kicker outscored the league’s only starting QB, the Black Smiths had enough from the rest of the team to take this victory. Charlie Brown is not going to win many games when their running backs don’t come through. The Black Smiths actually had a pretty bad day from their captain, Steve (CAR), on this day, and a mediocre day from their QB Alex (SF), but got enough from “The Other Steve” (NYG) and a surprising 5 points from Brad (NYJ). This was enough to overcome another combined goose-egg from the running backs and TEs. The defense was solid again, as Eric (NYJ) blocked a kick and Will (NO) registered a sack. They did get an interception from Alphonso (DET), but he was on the bench. Charlie Brown had a rough day, which is going to happen if they don’t get much from their two running backs. Ronnie (MIA) had 5 points and Donald (IND) had just 1. They got nothing else from their offense. Kicker Josh (STL) made 3 FGs for 12 total points, which is a nice bonus, as he is the only kicker in the league. The defense was okay–nothing special, but okay. C.C. (DET), Sheldon (CLE), and Alex (NO) combined for 9 points on the defensive side. They got a goose-egg from Ricky (OAK). The Black Smiths got a nice win, despite not giving their best showing. They improve to 2-1 heading into their showdown with The Dix in Week Four. The Other Steve (NYG) is the MVP of the week for the Black Smiths, as he had a 100-yard receiving day. In Week Four, we will get more of a picture of where these teams should be as we have the fourth set of inaugural meetings. It should be a bit of a separation week, as well, as four of the six teams are 2-1 or 3-0 and they all face each other this week. Is it possible that The Dix could lose two in a row? It’s certainly possible. With Larry Johnson released and out of football, they have no dependable running back other than, well, the best RB in the game. The Dix are projected to win this game, 56-40, but you never know. The Black Smiths have a much better defense, and they do have that wild card of a quarterback. Will there be a letdown for Big Willie Style after their big win over The Dix last week? We will see, as they face the Jack-O’s, who have won two straight (albeit against winless teams). Big Willie should win this game, as they are projected to take it 46-34. The byes have kicked in, and Big Willie loses their two Tampa players, Mike Williams and Cadillac Williams, but they have a couple decent replacements. The Jack-O’s have their quarterback on the bye, so there is no chance that Tavaris Jackson would get any garbage points in this one. They also have a decimated defense, as Tyson Jackson is on the bye, Tanard Jackson is suspended for the year, and D’Qwell Jackson is on injured reserve. Big Willie, on the other hand, has the best defense in the game. This would be a pretty big upset if the Jack-O’s can pull it off. After Week Four, there will only be one winless team, as the two 0-3 teams battle this week. Jones & the Last Name Crusade is projected to win 40-37, so this one could go either way rather easily. The problem for Charlie Brown is that their only two dependable offensive players, Ronnie Brown and Donald Brown are banged up. They also lost their starting linebacker, Ricky Brown, but their defense is better than that of the Crusade. Also, Charlie has the only kicker, which always helps. The Crusade has Maurice Jones(-Drew), who is the best player in this game, so he could carry them to their first ever victory. Well, with the start of the NFL playoffs and the surging Phils, we’re not at the point of apologizing for a delay in updating our BSB fantasy football league (Jack-O vs. The Dix), but it’s getting close to that point. And, there has been some fascinating upheaval in the All in the Family BSB fantasy football league. So, let’s catch up on the big offseason news and then give recaps of the first two weeks of thrilling action. First of all, we are proud to announce that the All in the Family league has expanded AGAIN. At the 11th hour of the inaugural season, our league expanded and brought in two more teams. This first season will consist of six teams–all of which are populated by “brothers” (or at least guys with the same last name). So, that is where we our in Season 1: six teams, an absolute grudge match every week, and all the marbles going to the winner of All in the Family. We also included, in the rules, that there would be four individual defensive players each week (1 DL, 1 LB, 1 DB, and 1 Flex). The kickoff was, well, everything we hoped it would be and then some, as there were grudge matches left and right, one semi-close game, and a ton of excitement and hype. Let’s run down the games one-by-one, starting with the challenge that started it all. There are no words to really express the statement that The Dix made in their very first game in this league. They have been preparing for this game for 8 years now, playing exhibitions against “real” teams, and all of it came to a head, as they dominated the Jack-O’s to make a statement to the rest of the league that they are the big dogs. In fact, with the exception of one player, The Dix didn’t even really have a great week. But, that one player, Chris (TEN) had 29 points, single-handedly outscoring the entire Jack-O team. It was a down week for the usually fantastic receiving corps, as Andre (HOU) only had 3 and Calvin (DET) only had 5. Bryant (DET) actually chipped in 2 for the best set of receivers in the league. The other running back, Larry (WAS), got a point for the team he used to carry. The leader of the defense was LB Derrick (KC), who had 11 tackles and a forced fumble. Jarret (BAL) also chipped in a half of a sack. On the other side, the Jack-O’s were not very good in this one. Their best contributor was their captain, Steven (STL), who had 9. Not having Vincent (SD) is brutal, but so is the poor performance of DeSean (PHI) didn’t help. Fred (BUF) had 2 points as a starting RB, while Brandon (GB) scored 8 filling in for Ryan Grant, but wasn’t in the starting lineup. Tavaris (MIN) didn’t play, so they got nothing from the QB spot. The defense was okay, despite the late scratch of LB D’Qwell (CLE) from the Browns starting lineup. Kareem (HOU), Tanard (TB), and Tyson (KC) all played well. In the end, the Jack-O’s just had no answer for Chris Johnson and took a brutal beating on opening day. With the two teams’ offensive stars essentially cancelling each other out, the closest game of the opening week came down to a big point total by, arguably, the best defense in the league–The Black Smiths. The Black Smiths did get 14 points from their big gun, Steve (CAR), which was enough to make up for zero points from the running back position. The Other Steve (NYG) had 4, while Brad (NYJ) actually rushed for 27 yards and made a tackle on special teams for 3 points. The big advantage of the Black Smiths over everyone else is that they actually have a quarterback, but this week, they won without him, as Alex (SF) only had 1 point. But, again, the best defense in the league made the difference–particularly Daryl (JAX), who had a monster game with 5 tackles, an interception, a forced fumble, and a pass defensed. Eric (NYJ) and Antonio (HOU) also contibuted for this stellar defensive unit. On the other side, Jones & the Last Name Crusade also prides themselves on their defense, but for its depth more so than its top-level talent. The captain of the squad, Maurice (JAX), did his part with 11 points, while Felix (6) rewarded Doogan for starting him over Thomas (KC) by putting up 6. The defense is deep, but depth is less important when there are only 4 spots. Dhani (CIN) led the way with 7 tackles. The Black Smiths got a nice victory here on opening day, despite no production from Alex Smith. Their defense might be the best in the league, and Daryl Smith gets the game ball from this one. It was actually a pretty encouraging debut for an under-appreciated Charlie Brown team, but Big Willie Style really answered the bell and won decisively. They may take exception to the crowning of the Black Smiths as the league’s best defense. Theirs is not too shabby, and it carried them today–well, that and a couple of Mikes. Big Willie Style might be a real sleeper team this year (especially if Yahoo! ever gets their act together and changes the starting lineup configuration like I asked them to before the first week). Here, in Week One, they had the most balanced attack of all the teams in a nice win. They were led by Cadillac (TB), who put up 10 points without a touchdown. Their captain, DeAngelo (CAR), added 6, while a pair of Mikes (TB and SEA) added 10 and 6, respectively. There wasn’t even any room for Ricky’s (MIA) 6 points on the bench. And, that was only the offense. The defense was fantastic, as well. Tramon (GB) had a fumble recovery and 3 pass defenses. Mario (HOU) had 2 tackles and a sack, and D.J. (DEN) had 9 tackles. There even got 5 tackles and a sack from a guy on their bench, Corey (DET). What a week for Big Willie Style! On the other side of this game, you have to be somewhat encouraged if you’re a Charlie Brown fan, as they hung tough with a good team, despite only getting points from one offensive player. Their captain, Ronnie (MIA), hit for 15 points. The big advantage for Charlie Brown is that they have the only two kickers in the league. Their starter, Josh (STL) gave them 8 points. They also got a combined 10 points from their two defensive backs, C.C. (DET) and Sheldon (CLE). People should take notice–Big Willie Style might just be a real contender for the title here. They have a ton of balance and talent to boot. I’m not so sure The Dix are “scared,” but they might be a little concerned. The game ball here goes to Mike Williams–both of them. The rivalries of Week One gave way to another set of great games in Week Two. The best game of the week pitted two teams that won their first games and were ready to try and go 2-0. Another balanced attack by Big Willie Style proved enough to withstand a furious Monday night comeback, let by Alex Smith. The battle of the two best defenses was swayed by a HUGE day from Mario Williams, and Big Willie Style is 2-0 heading into a Week Three showdown with The Dix. Again, the Mikes combined for a big number, but this one was all TB Mike, as he had 11. SEA Mike only had 1. And, again, the running back combo of DeAngelo (CAR) and Cadillac (TB) proved potent, putting up 13 points. Roy (DAL) continues to struggle, but there might be help on the horizon, as this deep team had some decent wide receiver performances on the bench from Roydell (WAS) and Stephen (ARI). But, the real story here is the defense. Maybe spurred on by people dubbing the Black Smiths the league’s best defense, this unit was fantastic. Mario (HOU) had 3 sacks and 2 pass defenses. D.J. (DEN) had 3 tackles and a 0.5 sacks. Pat (MIN) added a forced fumble, while the other part of the Williams Wall, Kevin (MIN) had a sack on the bench. This defense is really good. Down 21 points heading into the Monday night game, the Black Smiths were almost carried all the way back by the league’s only quarterback, Alex (SF), who threw for 275 yards and 1 TD, but it wasn’t quite enough. Good Steve (CAR) had 13, while Okay Steve (NYG) had 4. The rest of the offense was non-existent…almost literally. And, as for the highly-touted defense, well they struggled. Antonio (HOU) had 0, Eric (NYJ) had 1 and Will (NO) had 3 to try and help the Monday night comeback (ironically, Will Smith couldn’t beat Big Willie Style). The lone bright spot on this side of the ball was, again, Daryl (JAX), who followed up a big Week One with 7 more points in Week Two. Although Alex Smith made it really interesting, Big Willie Style’s defense led the way to another victory. Mario Williams was clearly the player of the game, and this team has a lot of confidence heading into its Week Three showdown with The Dix. With the impressive win for Big Willie Style and a bit of a struggle for The Dix, this league might not be the runaway we thought it would be. The Dix were very vulnerable this week, and Jones & the Last Name Crusade nearly pulled off the upset. Both teams’ captains had monumentally terrible weeks, which made for an interesting matchup. In fact, it was defensive personnel decisions that will have Jones fans wondering what could have been. Some teams tout their defense (Big Willie Style); some tout their running backs (Jones & the Last Name Crusade); some even tout the fact that they actually have a quarterback (Black Smiths), but no one has a unit quite like the wide receiving corps of The Dix. (Yes, I said no has a unit like The Dix.) And, they proved that in Week two. Calvin (DET) put up 16 in the early game and maybe that inspired Andre (HOU) to top it, as he went for 24 in the late game. This was very much needed, as their go-to guy, Chris (TEN), only had 2 points. They didn’t get much from their defense either, as Derrick (KC) was the only starter to get any points whatsoever, logging 7 tackles. Just like Chris Johnson of their opponent, the go-to guy for Jones & the Last Name Crusade faltered this week. Maurice (JAX) only had 2 points. His slack was picked up by touchdowns from Jacoby (HOU) and James (GB), and 83 yards rushing from Thomas (KC), but it still stings to lose to The Dix by 6 when your best player only rushes for 31 yards and a fumble. But, the worst part of this loss for Jones is the points that were left on their bench on the defensive side of the ball. Big days from Pacman (CIN) and David (JAX) were wasted on the bench, as poor days from Jason (TEN) and Brad (GB) counted as starters. This is a real gut-wrenching way to lose a game for Jones & the Last Name Crusade, but what did we expect when we entered a league against a team that’s been playing this game for almost a decade? The Dix just know how to win, and they got it done today without the help of their best player. 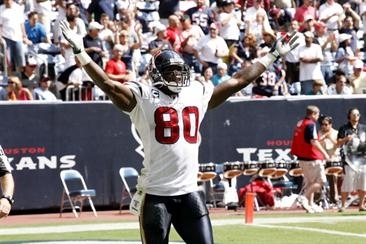 As good as Calvin Johnson was today, Andre Johnson was the clear MVP of this Week Two matchup. What an exciting week, as every game was within 12 points. This one went to the Jack-O’s, as their two best players really stepped up big time. Charlie Brown got a surprisingly great game from Donald Brown and a special teams touchdown from the unlikely source of Antonio Brown, but it wasn’t enough, and they fall to 0-2. Charlie Brown falls to 0-2 with the loss here, but there were some positives to take away here. The offense might not be just the Ronnie (MIA) Show, as Donald (IND) had a huge day and Antonio (PIT) had a punt return for a TD. And, on defense, the secondary continues to be the bright spot of the team, as Sheldon (CLE) has another interception, and C.C. (DET) plays another nice game. Charlie Brown is going to struggle this year, but they do have a future here. Donald Brown looked good and the defense is okay. The Jack-O’s–led by game MVP DeSean Jackson–got the win here, but this was a really bad week for the team off the field. Not only does their awful defense lose maybe its best player to suspension (Tanard Jackson), but Vincent Jackson wasn’t traded, which means he cannot play until Week Seven, and there are reports that he might not play at all this year. This Vincent Jackson news is absolutely crippling to the Jack-O’s…but hey, they are still just one Brett Favre injury away from a starting quarterback. Week Three is a huge week to see where these teams really are, at this point, with some nice matchups, headlined by a battle for first. Clearly the best two teams in the league through two weeks and they get to prove it on the field in Week Three. Both teams are 2-0. Big Willie Style has 95.7 total points, while The Dix have 95.4. Can the Big Willie Style defense, which is fantastic, overcome The Dix fantastic offense? We will see. Chris Johnson gets to run on the Giants, while Andre Johnson gets to catch passes against the Dallas secondary. The matchups for Big Willie Style are not good at all. DeAngelo Williams has to run on the Cincy defense. Cadillac and Mike Williams have to face Pittsburgh’s defense (and might be benched), while Ricky Williams has to run on the Jets defense. It’s not a great week for Big Willie Style to get their big test, but they are scared, as they are playing with a lot of confidence. For what it’s worth, the Yahoo! projections have Big Willie Style winning this game 53-51. The Jack-O’s will try and build upon their first win last week, while Jones & the Last Name Crusade will try and bounce back from a brutally tough loss to The Dix. The big question mark in this game is Maurice Jones(-Drew) and whether he’ll be the guy that Jones fans hoped he would be. The Jack-O’s still aren’t whole and are vulnerable here. Coach Bry has a decision to make between Brandon Jackson and Fred Jackson, so it’s hard to say what will come of that. The Yahoo! projections have Jones & the Last Name Crusade as favored to win this game 42-36. The third matchup pits a solid Black Smith squad against a young and hungry Charlie Brown team looking for their first ever victory. 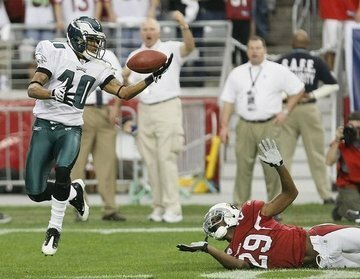 The question mark for Charlie Brown is will Donald Brown match against Denver what he did against the Giants. If so, they’ve got a real shot here. On the other side, the Black Smiths were supposed to have a phenomenal defense, but, outside of Daryl Smith, it has been rather ordinary so far. Another question for the Black Smiths is will they ever get anything out of a running back? That remains to be seen. This game might pivot around each team’s big advantage that they have over the rest of the league. The Black Smiths have the league’s only quarterback, so will Alex Smith put up big numbers that can’t be matched? Conversely, Charlie Brown has the league’s only kicker, so will Josh Brown be the difference this week? We will find out.